For homeowners who prefer wood on the exterior of their residential garage doors, Action Garage Door offers wood garage doors made of 1-3/8-inch kiln-dried lumber. These residential wood garage doors come unfinished or primed. The doors can be made with a wide variety of glass and window trim options. The unfinished doors can be painted or stained any color to match or compliment the exterior of your home. 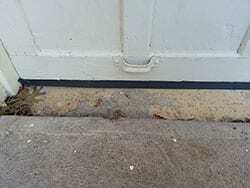 This line includes a rubber seal along the bottom of each wood garage door to keep out dust, dirt, and drafts. Browse through our gallery of wood garage doors below, then check with your Action Garage Door representative about specific widths and heights. 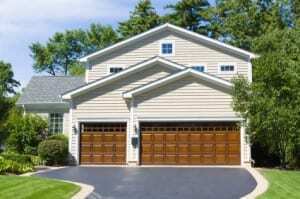 Action Garage Door wood garage doors will last for years and years with proper maintenance and care. The doors need to be properly installed with a good torsion spring system in a square door opening. be sure to hire your professional installers at Action Garage Door because wood garage doors are heavier than most other doors. 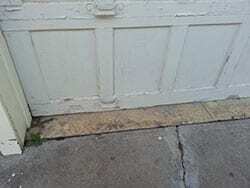 Be sure to educate your children regarding garage door safety, to avoid any injuries. Choose a garage door opening system with sensors that will stop the descent of the wood garage door if a child or pet is under it. For questions or more information on any garage door type, contact Action Garage Door, we are prepared to improve your business!